I am so happy , I am finally able to post more for you! Let's get to swatches already! Dance Legend 857( Shuriken) - A very light pink metallic polish. Shown here is 2 coats without any top coat to show the metal finish. 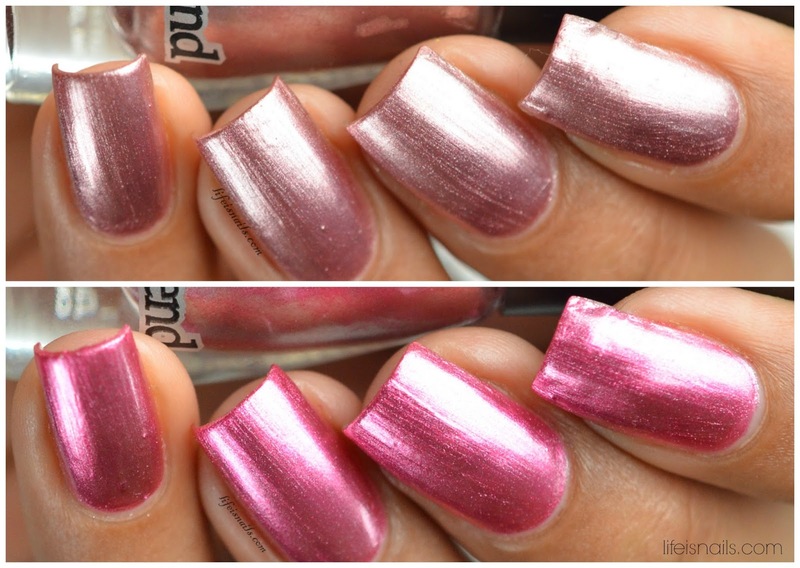 Dance Legend 864( Blade) - A gorgeous raspberry pink metallic polish. Shown here is 2 coats without any top coat. Overall these are perfect and are my go to metallic polish! 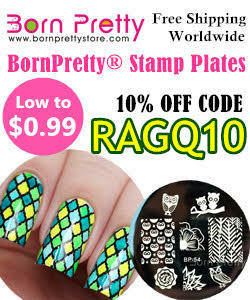 I just love how these look on my skin tone! Don't you think? Today I am back after a long family break, with the swatches of the new Cupcake Polish Butterfly Collection o share with you. I loved the previous Unicorn collection from this brand, containing beautiful holo glitters, and I absolutely love linear holographic polishes, so undoubtedly Sara, the owner of cupcake polish didn't dispoint me with these stunningly bright linear holos for spring/summer. The formula in them was a bit thick but didnt bother me much with its application. Also, the colors are nicely pigmented because of which these polishes only need 2 thin coats for full opacity. 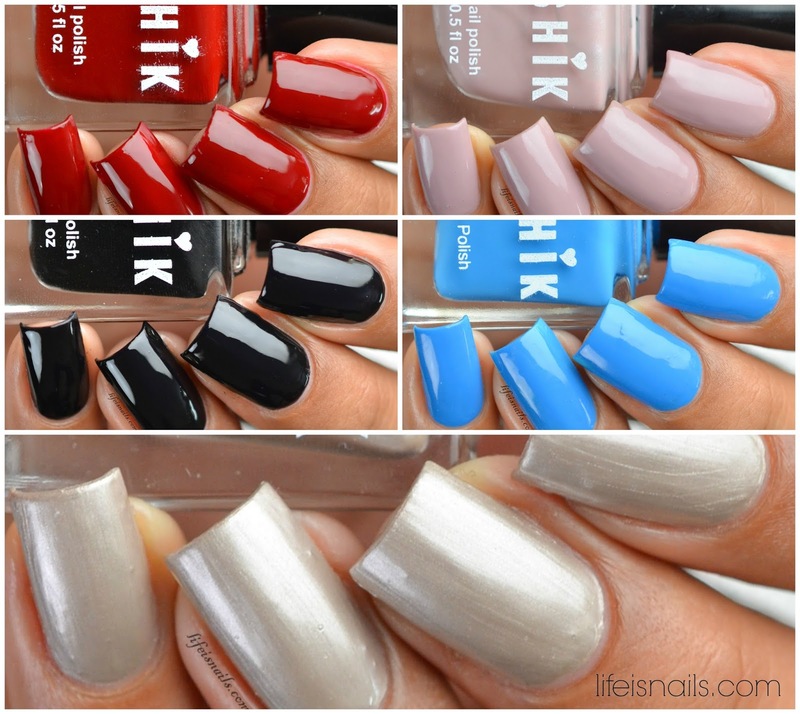 Let's jump at the swatches now! Hatch of the Day - A beautiful light pink linear holographic polish. This indeed is my favorite out of the 4 I got. I love me some pink nowadays. Shown here is 2 coats plus topcoat. Transformation - A stunning purple linear holographic polish with blue/ violet undertones. Gorgeous again!! Shown here is 2 coats plus top coat. 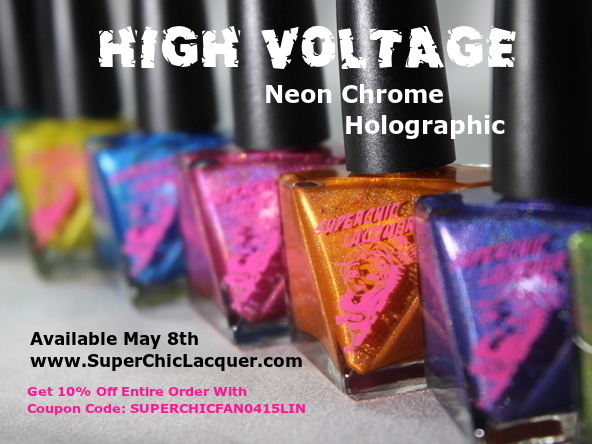 Metamorphosis - A bright and strong blue linear holographic polish. Shown here is 2 coats plus top coat. Little Butterfly - A gorgeous forest green linear holographic polish. I loved this color on my skin tone :) Indeed a beautiful color for all skin tone. Loved it! Shown here is 2 coats plus top coat. Overall I loved all the 4 colors , didn't face many problems with its application, dries super fast which needs you to work fast too. Stunningly bright for the coming summer. Pure perfection in all colors. My Top Picks - Hatch of the day and Little butterfly. 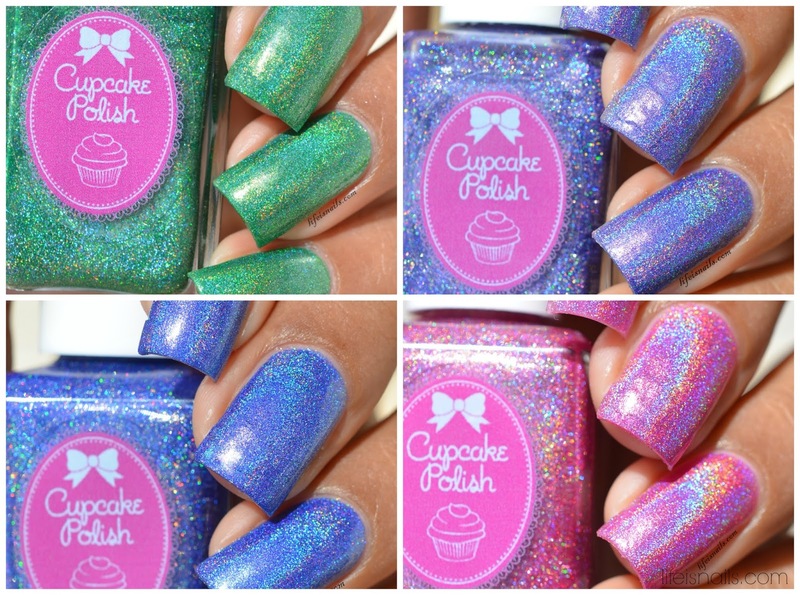 This collection is available at Cupcake Polish website now. 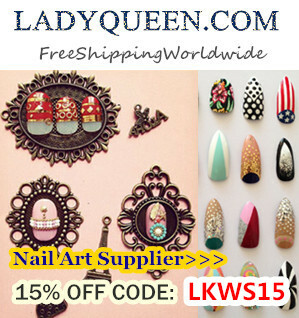 You can get this collection at Cupcake Polish online shop. 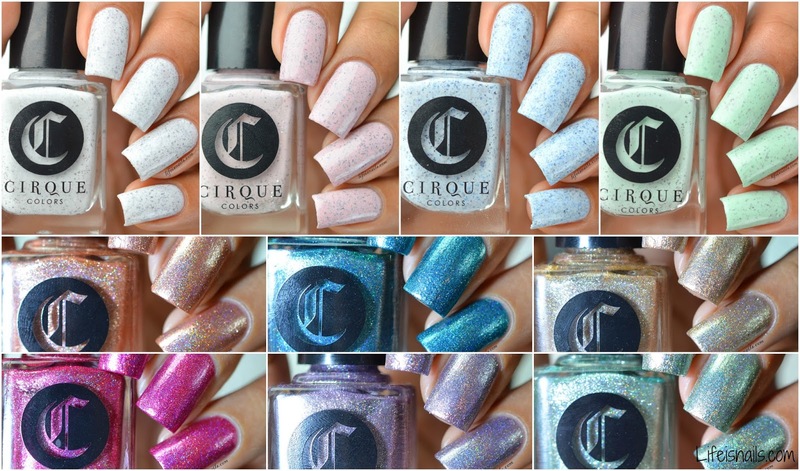 Today I am back with the swatches of New Cirque Colors Collection called as ' Speckled And Sparkled ' to share with you. Speckled and Sparkled - a 10-piece limited edition collection featuring a range of delicately speckled pastels and glistening foil holographic's. Among the "speckles" is the much-anticipated re-release of HATCH, a white and black speckled polish which made waves last spring. The "sparkles" are unlike any typical foil-finish lacquer. 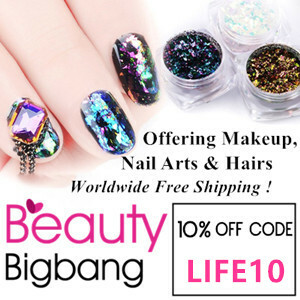 Made with a special type of superfine sterling silver pigment, it sparkles much more than a foil while maintaining a reflective and refined finish. Let's take a look at them! Shall we? I will be starting with the Speckled ones which are my favorite indeed! Hatch - A beautiful white creme with black/dark grey flakies in it. The formula was amazing which made the application so smooth. Shown here is 2 thin coats + Glossy Topcoat. Astra - A lovely baby pink base with silver and dark grey flakies in it. The formula was amazing again. I loved this so much! Shown here is 2 thin coats + Glossy Topcoat. Acid Wash - A stunning pale blue creme with bright blue foil flakies and denim blue flakies in it. I am not a blue fan but this one was too gorgeous to not to love. Shown here is 2 thin coats + Glossy Topcoat. Mint Chip - A pretty mint green creme base with chocolate brown flakies in it. The formula was a bit thick in this one as compared to others but totally acceptable to me because of such a pretty color. Shown here is 2 thin coats + Glossy Topcoat. Now let's take a look at the Sparkled Part of this collection!! Himalayan Pink - A rose gold sterling foil holographic polish. Shown here is 2 thin coats without any top coat to show the actual finish of the polish. Cin Cin - A sparkling champagne sterling foil holographic polish. Shown here is 2 thin coats without any top coat. Saint Cloud - A silver lavender sterling foil holographic polish. Shown here is 2 thin coats without any top coat. Sencha - A beautiful seafoam green sterling foil holographic polish. Shown here is 2 thin coats without any top coat. My top picks are Astra, Acid Wash, Besos, and Oasis! 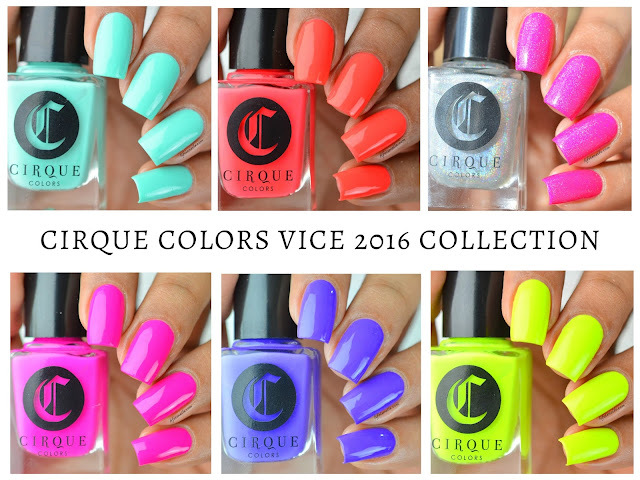 You can get this collection at Cirque Color's online shop or with their Stockists.